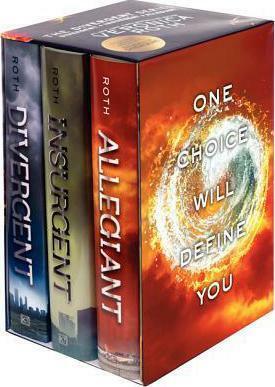 A specially designed slipcase Hardcover editions of Divergent, Insurgent, and Divergent #3 Bonus booklet! "The World of Veronica Roth's Divergent Series," a forty-eight-page booklet including Faction Manifestos, a Faction Quiz and Results, a Q&A with Veronica Roth, playlists, discussion questions, series inspirations, and much more! Divergent #3: The explosive conclusion to Veronica Roth's #1 New York Times bestselling Divergent trilogy reveals the secrets of the dystopian world that has captivated millions of readers in Divergent and Insurgent.